Note from Susan: I was pleased to see this article about the region around our house. Some of our visitors have been surprised to find themselves surrounded by vineyards so here's my chance to clarify! Caussiniojouls is a wine-growing village. Some of the most authentic restaurants here are hidden in the heart of wine country. Le Faitout (Berlou), l’Auberge du Presbytère (Vailhan) and Ô. Bontemps (Magalas) offer intimate dining paired with local wines, while the charming Relais Chantovent offers traditional regional cuisine in the must-see medieval village of Minerve. For something more unusual, dine al fresco in Domaine Gayda’s luxury barbecue straw huts (a short drive from Carcassonne). L’Auberge du Vieux Puits (Fontjoncouse) is a ritzy address worthy of a splurge. Lodging options abound. The upmarket Château les Carrasses in Capestang is a 19th-century wine estate transformed into luxury, self-catering vacation homes. Winemaker Gérard Bertrand’s L’Hospitalet is a leading wine tourism destination, boasting hotel rooms, a restaurant, tasting room and craft boutiques. In the hamlet of Lauret, Auberge du Cèdre offers character, shady gardens, authentic cuisine and a wine list featuring some of the Pic Saint Loup appellation’s best producers. This is a region for fans of the great outdoors. Sea kayaking, wind surfing and river canoeing are just some options. Rocky Upper Languedoc has miles of walking and cycling trails. Ancient Roman sites like the Pont du Gard and the amphitheatre of Nîmes can be enjoyed at a more leisurely pace. Book a self-catering holiday rental (like susan and gerry's house!) and live like the locals: buy produce at a local market (think olives, salted anchovies, goat cheese, some charcuterie and a handful of nectarines), add a bottle from a nearby domaine and enjoy. Spring for budding vines, fall for harvest and gentle sunshine. Avoid the crowds and soaring summer heat. 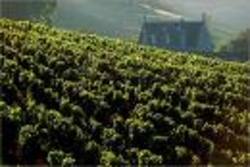 Note from Susan: The Faugeres wine festival is held the second weekend in July--do not miss. All the winemakers have booths along the winding medieval streets offering tastings. Moules et frites lunch too. Few wineries have public tasting rooms with full-time staff, but calling ahead will open many doors—tastings are almost always free. In Lattes, the Mas de Saporta showcases over 400 Languedoc wines and the knowledgeable staff will happily answer questions and make recommendations. In Saint-Chinian, the Maison des Vins’s dispensing machines allow visitors to try 32 wines (red, white and rosé) from across the appellation for a charge. The shop stocks more than 300 wines. Florensac co-op’s Vinipolis visitor center offers an informative, multilingual experience (buy a bottle and enjoy it in the adjoining Bistrot d’Alex), while Faugères producerL’Abbaye Sylva Plana’s tasting room and restaurant are open year-round. In Montagnac, Côté Mas has a tasting room and restaurant showcasing wines from seven Domaines Paul Mas estates. Down near Fitou, the Mont Tauch co-op has an excellent visitor center, interactive displays and free tours. Languedoc’s challenge is its diversity: red, white, rosé, still and sparkling, dry and fortified wines are all made here. Its AOPs—particularly Minervois, Corbières and Coteaux du Languedoc—are becoming well known. Terrasses du Larzac, Saint- Chinian and La Clape are now attracting attention. Varietal wines like Syrah, Grenache, Carignan, Viognier and Chardonnay are commonly found under the Pays d’Oc label. Zippy Picpoul de Pinet (perfect with seafood), sparkling Blanquette de Limoux and aromatic Rolle-Roussanne-Marsanne blends are whites to watch. Fans of hearty reds should try the rich, spicy wines of Pic Saint Loup, Corbières and Fitou. Languedoc wines as the "California of France"
ONCE, back in the 1990s, my very young son, surveying the density of scaffolding and construction sites in our Manhattan neighborhood, said, “Dad, when are they going to finish building New York?” I think of his question whenever I open a bottle of wine from the Languedoc, a region that seems as if it, too, is permanently in transition. Find an article on the Languedoc published anytime in the last 25 years and the odds are, the theme will be the same: the makeover from ocean of mediocrity to region of vast, realized potential. Nonetheless, the progress is real. Yet the evolution of the Languedoc is not merely linear. That would be too simple, too easy, in a region that can be as challenging as it is rewarding. A few weeks ago, the wine panel surveyed recent vintages of red wines from the Languedoc. We tasted 20 bottles, restricting ourselves to the Languedoc rather than including the Roussillon, the neighboring region that so often forms the tail end of the hyphenated pairing Languedoc-Roussillon. For the tasting, Florence Fabricant and I were joined by Michael Madrigale, the head sommelier at Bar Boulud and Boulud Sud, and Thomas Pastuszak, the wine director at the NoMad. It was clear from our tasting why the Languedoc is sometimes called the California of France. The grip of history, so powerful through most of France in the rules that govern its appellation system, is less evident in the Languedoc. If anything, the region’s many years as a bulk-wine supplier for the rest of the country offer clear justification for the sort of experimentation that sometimes muddies the clarity of its identity. Without the burden of past greatness, and lacking the clear delineation of rigorous appellations, many producers feel freer in the Languedoc to work with untraditional grapes in the region. Carignan, cinsault, grenache, syrah and mourvèdre still predominate, though the proportion of syrah has risen as carignan has declined. But cabernet, merlot and other international grapes are also part of the mix, especially in those wines labeled vins de pays. A result, in our tasting, at least, were wines of great contrasts. From glass to glass, the styles veered wildly. Some evoked what I always imagine to be the wildness of the Mediterranean countryside: craggy, rocky hillsides redolent of lavender and wild thyme, the famous garrigue. Others are powerful modern wines, dominated by sweet fruit and oak. Some wines are stern, tannic, almost austere. Others are dense yet supple. And another style has emerged, incorporating the Beaujolais winemaking method of carbon maceration that can make spicy, easily accessible wines. Thomas was impressed by the general quality of the winemaking, regardless of the style. “It’s great to see such a maligned region produce so many good wines,” he said. I agreed with Michael and Thomas, yet for me, and for all of us, by far the most interesting wines were also the most distinct, those that could come from nowhere else but Mediterranean France. The smooth, fruity, oaky wines can no doubt compete on the global stage. Yet in the end, what will really set them apart from similar wines, whether from the United States, South America, Tuscany or Australia? Price, perhaps? The wines most full of distinctive character, like our favorites, still rely primarily on the traditional grapes, even the oft-despised carignan, which top Languedoc producers have proved can achieve great results if its carefully farmed and the yields are kept relatively low. Our No. 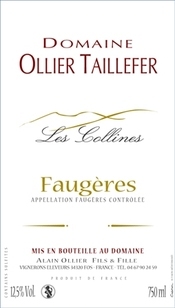 1 bottle, the 2009 Faugères Jadis from Léon Barral (SC: winerie in Lentheric, a hamlet near Caussi), was 50 percent carignan, along with 30 percent syrah and 20 percent grenache. It was juicy, earthy and complex, but what really set it apart from the other wines was a tension and balance that gave the wine great energy. At $39, the Barral was one of the more expensive wines in the tasting. By contrast, our No. 2 bottle, the 2010 Tour de Pierres from Ermitage du Pic Saint Loup, was our best value at $15. With 50 percent syrah, 40 percent grenache and 10 percent mourvèdre, it had no carignan at all. Yet it screamed of herbal Languedoc character, and was altogether delightful. By far the most expensive wine at $80 was the 2007 Grange des Pères Vin de Pays de l’Hérault. It is one of the few cult wines of the region, incorporating 20 percent cabernet sauvignon along with syrah and mourvèdre. I can tell you from experience that it is a lovely wine, yet in our blind tasting it seemed simpler than I remembered it. Bottle variation? A period of dormancy? I don’t know, but it’s worth pointing out that our $80 was an older vintage. The current 2009 vintage is selling for more than $100. The only wine over which the panel showed significant differences was the 2011 Domaine Rimbert from St.-Chinian. For me, this was an archetypal Languedoc wine, dry and lip-smacking with savory herbal and purple fruit flavors. Others were less entranced. Try it for yourself and see what you think. Other wines especially worth noting were the intense yet well-balanced 2009 Grand Pas from Le Pas de l’Escalette; the tannic, herbal 2010 Clos Fantine; and the dense yet juicy 2008 Mas Champart Causse du Bousquet from St.-Chinian. The evolution of the Languedoc continues. The unwieldy, nebulous regional appellations remain confusing, an overlapping bunch of zones and sub-zones that do little to zero in on characteristics of terroir or geography. Changes are in the works, though it’s not clear exactly when they will become official. Even so, it’s true that appellations in most regions fall short of the ideal. Meanwhile, land in the Languedoc remains relatively inexpensive, new winemakers arrive to try their hand at expressing its terroir, and the experimentation goes on. It may be some time before the scaffolding comes down for good. Juicy, earthy and tense with complex aromas of flowers and purple fruit, and a touch of oak. Minty, herbal, well-balanced and firm; full of classic regional character. Rich and beautifully balanced with savory, almost savage flavors that linger. Dense, juicy and smooth, with almost grapey fruit flavors. Dense, ripe and powerfully fruity yet tinged with brambly, cedar flavors. Juicy, grapey and herbal; classic Languedoc flavors. Spicy and balanced with flavors of sweet, smoky fruit and oak. Dense, firm and reticent with dusty, earthy flavors. Powerful and tannic with dense flavors of dark fruit. We were excited to see Kermit Lynch celebrate Domaine Léon Barral, a winerie in hearby Lentheric.